A block is a toy for children, usually shaped as a cube. The kids are building a house with their blocks. 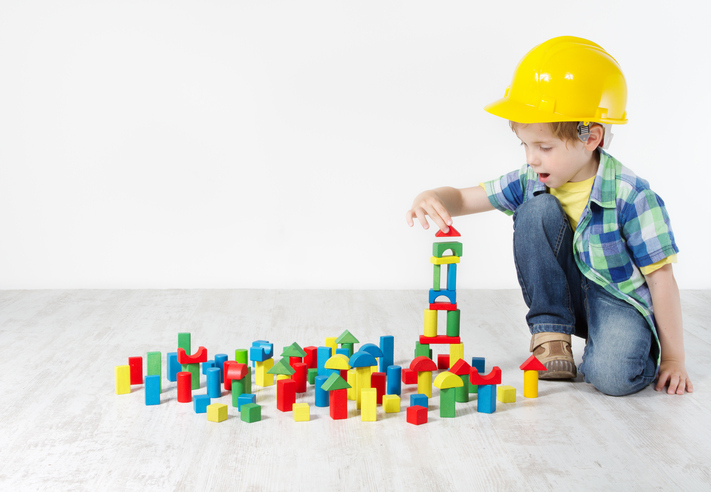 Children can learn their ABCs when they play with blocks. A block is also the length of one street in a neighborhood or town. There is a supermarket on my block. My sister lives three blocks away. If you get in the way of something you block it. The security guard blocked the entrance. The defenseman blocked the goal. A block is something that causes other things to stop moving. There is a road block on the highway and the police are stopping all the cars. Writer’s block occurs when a writer temporarily cannot proceed with writing. There are other meanings of block.